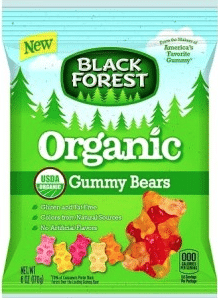 Here’s a rare new Black Forest organic gummy candy coupon! If you’re a Target shopper, you can stack it with the new 20% off Black Forest organic gummies Target Cartwheel coupon I mentioned the other day. Wow, Target just released a TON of (like, 50!) 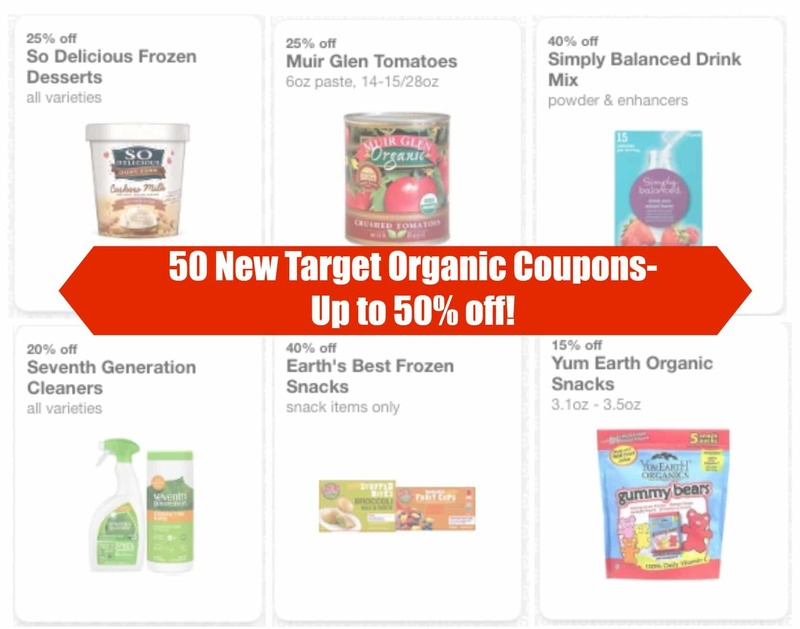 new natural and organic coupons on their Cartwheel app, and they’re high-value coupons, up to 50% off! I love these coupons as you don’t have to print anything and you can stack them with manufacture coupons. 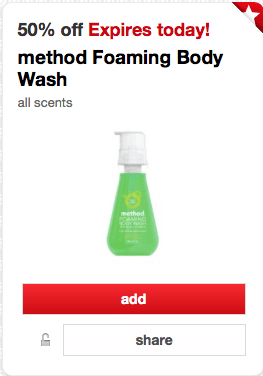 Today only, save 50% off Method foaming body wash at Target with this new coupon! Just clip this Target Cartwheel coupon and pay just $2.50 after coupon for Method foaming body wash. And you can use the coupon up to 4 times in a transaction. 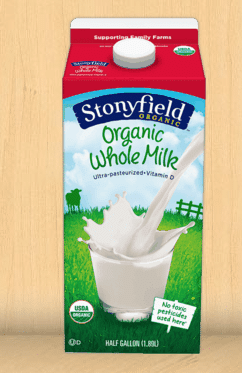 Savings on organic milk can be rare, so I’m excited to see this new Stonyfield organic milk $1 coupon app offer on ibotta! 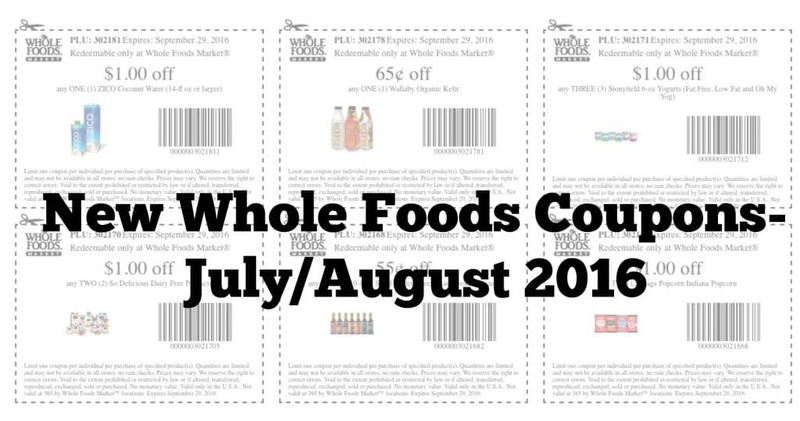 Whole Foods Market just released a new batch of natural and organic coupons for the months of July and August 2016! 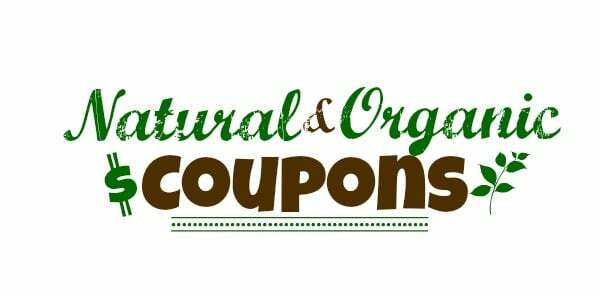 I love these Whole Foods coupons as you can stack them with manufacturer coupons. Yum! Here’s a new Tazo Chai Latte coupon! You can print two copies. 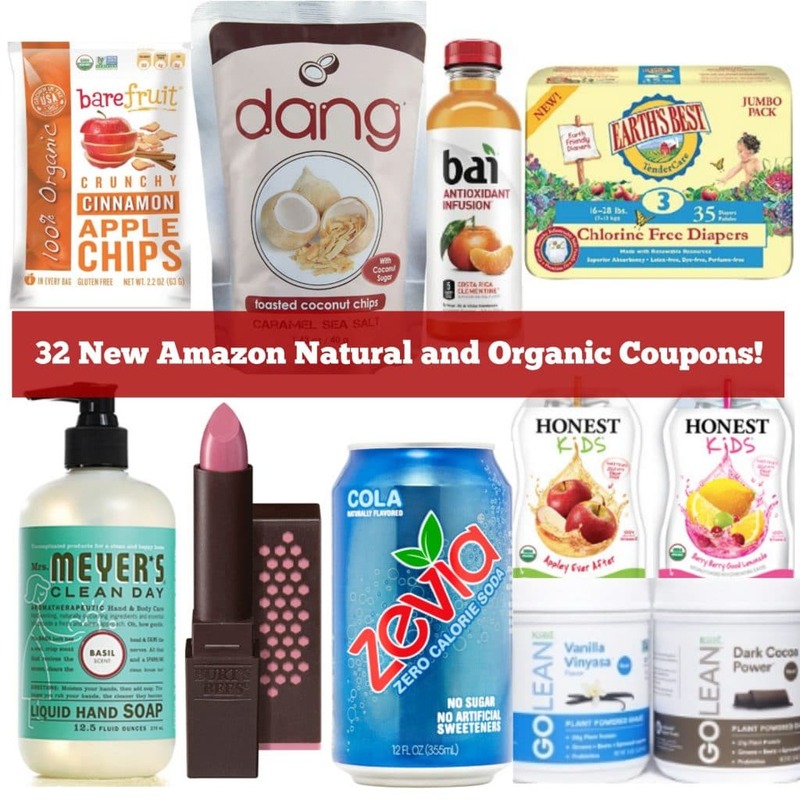 Amazon just released a ton (32 to be exact) of natural and organic coupons for the month of July! 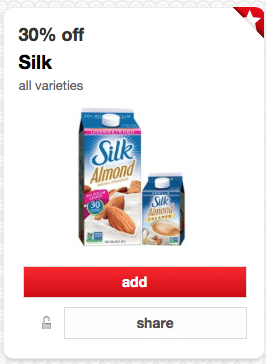 You can get a nice deal on Silk milk right now at Target!